Format: 42 Video Files (.mp4 format) + PDF files. 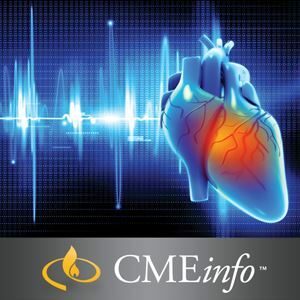 Available online or via audio MP3 CDs, The Brigham Board Review in Cardiology provides a maximum of 30 AMA PRA Category 1 Credits ™ and 30 MOC points, with access to unbiased, evidence-based content and case-based reviews so you can expand your knowledge and incorporate the latest guidelines into your daily practice. Oakstone Publishing, LLC designates this enduring material for a maximum of 30 AMA PRA Category 1 Credits ™. Physicians should claim only the credit commensurate with the extent of their participation in the activity. CME credit is awarded upon successful completion of an online course evaluation and post-test. The primary group of learners will be fellows/trainees and practicing cardiology specialists (MDs) and other professional affiliates (internists with an interest in cardiology) who are preparing to become board certified, maintaining their certification, or who seek CME activities to improve patient care in the area of Cardiovascular Medicine.